Comprehensive laboratory testing of animal specimens in the areas of hematology, diagnostic cytology, clinical chemistry and immunology, and urinalysis. Online textbook for veterinary clinical pathology. The clinical pathology residency is a three year program designed to give advanced training in veterinary clinical pathology and laboratory medicine. Residents are trained under the close guidance of four board-certified clinical pathologists. We have two primary objectives for our training program. The first objective is to train residents to be outstanding clinical pathologists who are well-versed in all aspects of clinical pathology (hematopathology, cytopathology, clinical chemistry, laboratory management, and applied clinical pathology research). The second objective is to inspire and encourage trainees to become academic clinical pathologists who will contribute to the advancement and future of veterinary clinical pathology. 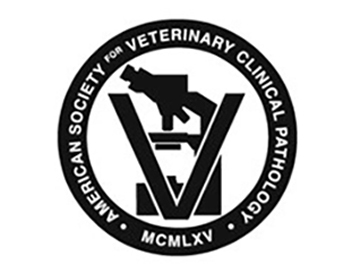 As a result of this training, residents are well prepared for the board certification examination in clinical pathology by the American College of Veterinary Pathologists (ACVP). Throughout this process, we strive to maintain a fun and cooperative learning environment that encourages scientific curiosity, critical thinking, and spirited debate. Additional information on these major areas of study during the residency is given below. A more detailed description of the residency program at Cornell can be found in the Residency Training Guidelines. We follow training guidelines endorsed by the American Society of Veterinary Clinical Pathology (ASVCP). 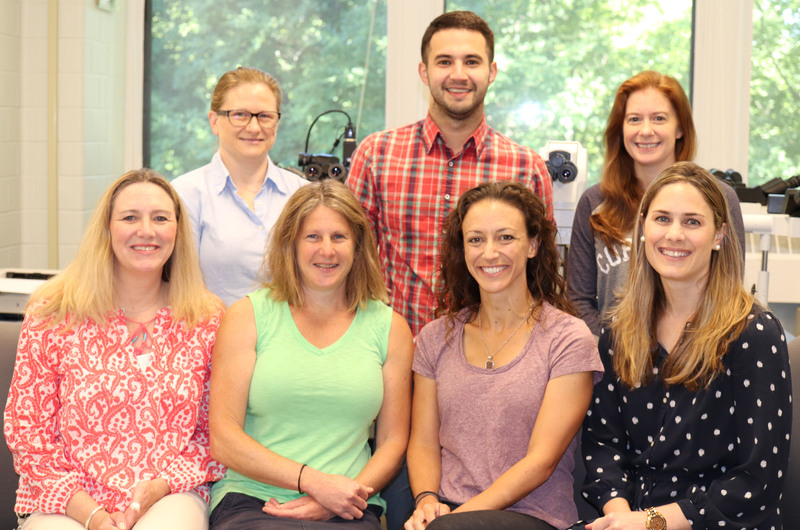 In addition to faculty and residents, the clinical pathology team consists of a laboratory manager, eight to ten medical technologists, and two to three administrative assistants. We all work together as a team to provide excellent service to our clients while maintaining a stimulating and fulfilling work environment. The clinical pathology residency is highlighted in the College of Veterinary Medicine's February 2011 edition of 'Scopes magazine. We currently are accepting applications for one residency position to start in July 2019. A DVM/VMD or equivalent degree and at least 1 year of post-DVM work (e.g. internship, clinical practice, masters, PhD) are required for consideration for this position. See the full advertisement here for a complete description of application requirements. Please note, that 3 professional references must complete our standard evaluation form. 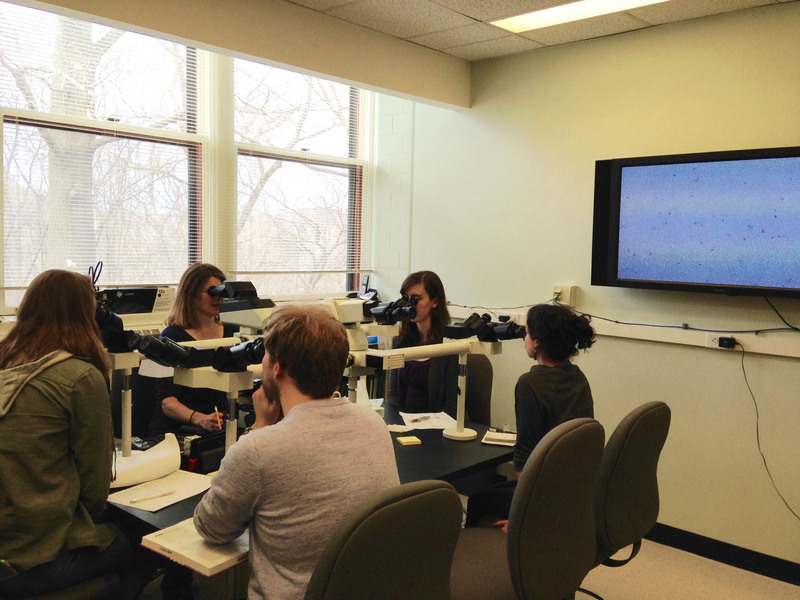 Residents participate in daily cytology/hematology read-out sessions at least two weeks per month during the first two years of the program. In consultation with the pathologist on duty, residents review and prepare diagnostic reports for clinical cases submitted to the clinical pathology laboratory. We have a rich and varied caseload from the Cornell University Hospital for Animals consisting of 73% small animals, 25% large animals, and 2% exotics, in addition to a large number of cases submitted from national and international sources via the Animal Health Diagnostic Center. Training is also provided on the performance and interpretation of specialized diagnostic testing such as flow cytometry, protein electrophoresis, cytochemistry, and immunocytochemistry. As the training progresses, residents are given increasing responsibility with the goal of independence (assuming full responsibility for laboratory results) during the final year of the program. Leading small group teaching sessions for senior veterinary students. Assisting in the organization and teaching of a comprehensive clinical pathology course. Residents assist in the preparation and delivery of laboratory sessions during the first and second year of their residency. During the second year of the program, residents are given the opportunity to take a more active role in clinical pathology instruction through didactic lectures. In the final year of the program, residents may also moderate a large group discussion. Assisting in the organization and leading of biweekly clinical pathology rounds, during which recent cases of interest are presented to faculty, residents, and students. Assisting in the organization and teaching of continuing education seminars offered at the College of Veterinary Medicine, e.g. New York State Veterinary Conference. The resident will perform applied clinical pathologic-related research under the supervision of the clinical pathologists beginning in the first year of the program. Prospective, hypothesis-driven research is expected and will culminate in the publication of results in a peer-reviewed journal as well as presentation of results at the annual meeting of the ACVP. During the course of their research, residents will acquire skills in study design, laboratory techniques, and scientific writing. Residents are expected to write a Share the Future grant for the ACVP or apply for other funding opportunities. If available, residents are required to take a statistical course during their training program. Residents are also encouraged to publish individual case reports, submit mystery slide cases or case discussions for presentation at the annual meeting of the ACVP, and participate in collaborative research with other members of the college community. For further information on research interests of the current faculty and research projects undertaken by current and previous residents refer to the information provided under Current Residents. Weekly case seminars: Residents are given cytology, hematology, or surgical biopsy cases for description and interpretation. Starting in the second year, residents are encouraged to write a “board-style” description and interpretation. Biweekly or monthly chemistry case reviews: Residents are given clinical chemistry data for interpretation and critical discussion. Starting in the second year, residents are encouraged to write a “board-style” interpretation. Biweekly or monthly cytology-histology correlate sessions: Residents and faculty participate in the review and comparison of cytology and histopathology findings of cases, some of which are controversial and challenging. Biweekly seminars on special topics in clinical pathology: Each member of the clinical pathology team (residents and faculty) leads discussions, in rotation, on principles of clinical pathology. These seminars may include review of journal articles, methodologies, or other topics relating to laboratory medicine. Residents are encouraged to participate in a variety of other seminars and rounds held within the College of Veterinary Medicine (e.g. oncology rounds, tumor board, neuropathology rounds, wildlife pathology rounds, infectious disease forums). An extensive textbook-based and online library. An extensive image database, including digitally scanned Aperio slides. Resident training slides (hematology, cytology, and surgical biopsy) that encompass interesting or challenging cases. Extensive archived hematology and chemistry slides from routine diagnostic evaluation including samples from normal tissues. Mystery slide sets with case summaries from ASVCP meetings (mystery slide cases, chemistry cases, case discussions). Research project(s): Effects of lipoproteins on fibrinolysis in the dog. Grants and Awards: Share the Future Research Grant, ASVCP (2014), Best overall presentation at Clinical Investigators Day, Cornell University (2015). Research project: Lipoprotein profiles in lactating dairy cattle. Reporting and interpreting red blood cell morphology. Research project(s): Thrombin generation in canine cancer cells. Research project(s): Platelet-derived microparticles and thrombin generation in horses. Diagnostic utility of glutamate dehydrogenase in birds. Research project(s): Effect of interleukin-6, interleukin-8 and interleukin-10 on tissue factor expression in canine monocytes. 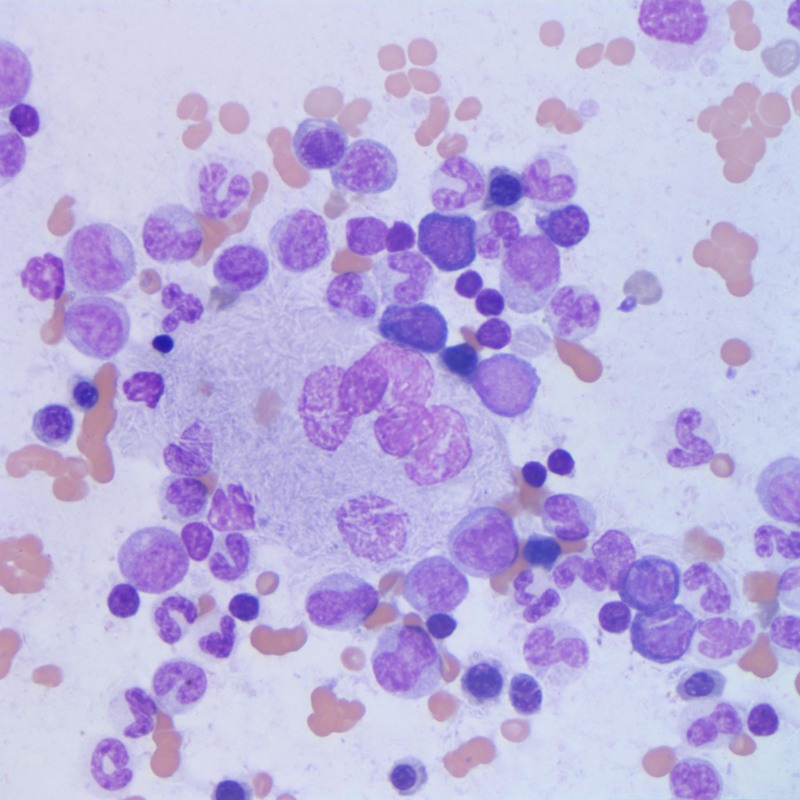 Research project(s): Transferrin receptor expression in canine lymphoma. Research project(s): Effect of storage on bovine hematologic parameters. Warren A, Stokol T, Hecker K, Nydam DV (2013) Storage-associated changes in the bovine hemogram with the ADVIA 120 hematology analyzer. Comp Clin Pathol. 22:1235-1240. doi: 10.1007/s00580-012-15569. Guidelines for resident training in veterinary clinical pathology. I. Clinical chemistry. Guidelines for resident training in veterinary clinical pathology. II. Hematology. Guidelines for resident training in veterinary clinical pathology. III. Cytopathology and surgical pathology. A nonprofit scientific organization dedicated to the promotion of scientific advancement, education, and standards in veterinary laboratory medicine. 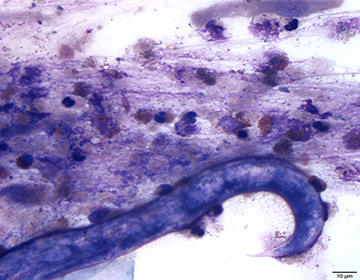 Cases seen by Cornell University’s Clinical Pathology Laboratory; test yourself with the questions and photomicrographs and make your own diagnosis!